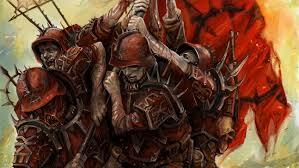 Unbelievably, these were and are a completely free set of boys that Games workshop just gifted us with in a White Dwarf, and eventually our own codex. If anything epitomises the wretched hive-masses gone wrong its these guys. Don’t really know how you want to play but like a bit of a theme? These guys will give you that taste.. So, what are they actually like to start getting a gang ready? 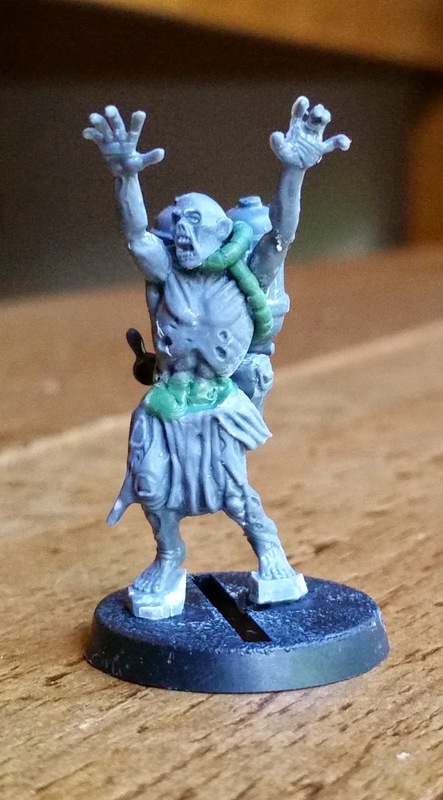 Depending on how you see it, Cultists are a bit trickier to get started with. The original gang presented in White Dwarf was heavily themed as if it were based on the guys from the Dark Vengeance box set for 6th Edition, pretty much nothing from that box was missed! Heavy stubber - check. Clubs and axes? Check! This is great if you want to just try the gang out, as most people will be able to jump in with this set. 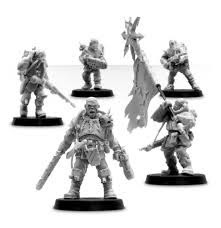 As well as this GW did release a 5 cultist box set that could be used to bolster the gang if needed. Again, more fuel for the fire! These sculpts are lovely, but don’t allow much variation without some intelligent movement and placement of things. 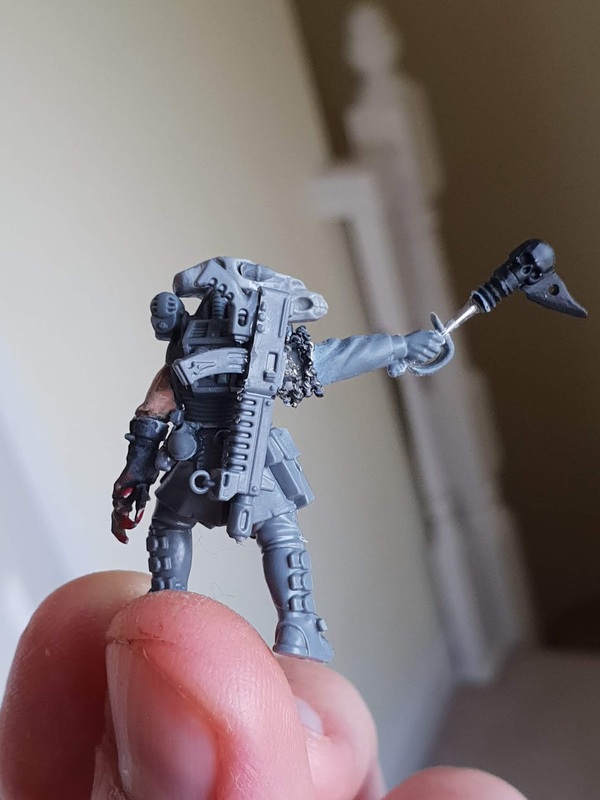 With the addition of some of the new rules from the new codex, the Cawdor guys are looking good too, reclaimed autoguns, chain glaives. All are up for grabs. Until you get to Trading Post these guys don’t need much amending to give them a decent look. The cultist theme you pick will very much determine what you need. 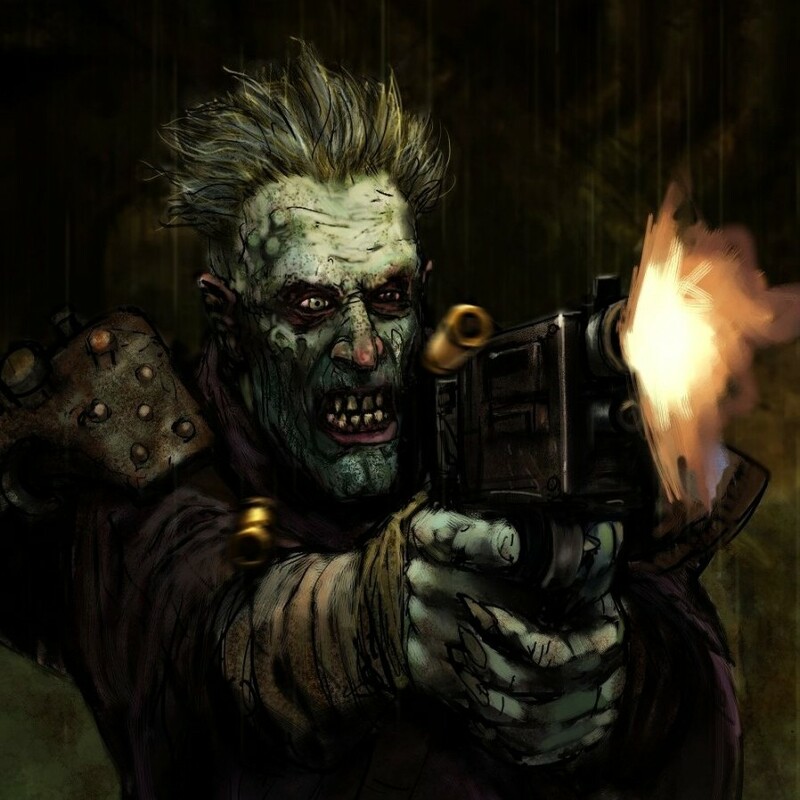 With a good mix of melee and ranged, you can vary your choices of conversions. 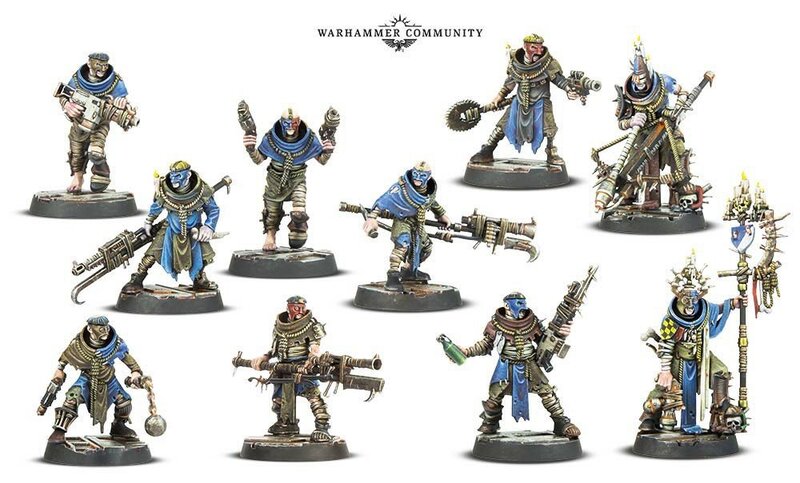 If you want to add any of the more interesting weapons, sadly you’ll need to get more of those cultist boxes or the Cawdor set. Remember the rag-tag nature of the weapons they have is just the current theme, they could be absconding from another gang entirely, they could be uphivers who've come down to the hive levels for potshots. They could be the high end-guardsmen of the Demagogues personal family cult. I loved converting these guys, and they really make you spot the good eclectic models in your army. I’ve repurposed one of my Astra Militarum psykers already and will probably do more as I find more that suit. Yes I’ll need to pay for every ganger I add but the variance will make it worth it. Again, another choice for the player. Do you go for eclectic unique, or go for uniform Cult? Uniform can be really good, and look fantastic, a sickly green mutant rabble overthrowing the surface types? Golden? Some beautiful Tzeentch blues and gory Khorne reds? Get the crazy colours out and imagine that a ritual has just been interrupted mid-flow. For eclectic ragtag? You’re making your own rules. Imagine the class of person you’re painting, mix it up! I went for a matching spot colour across the models to make them as linked as possible. If you want a good starter box that you can chuck a couple of bits on, I’d suggest 2 of the cultists boxes, super easy to get out of the gate. 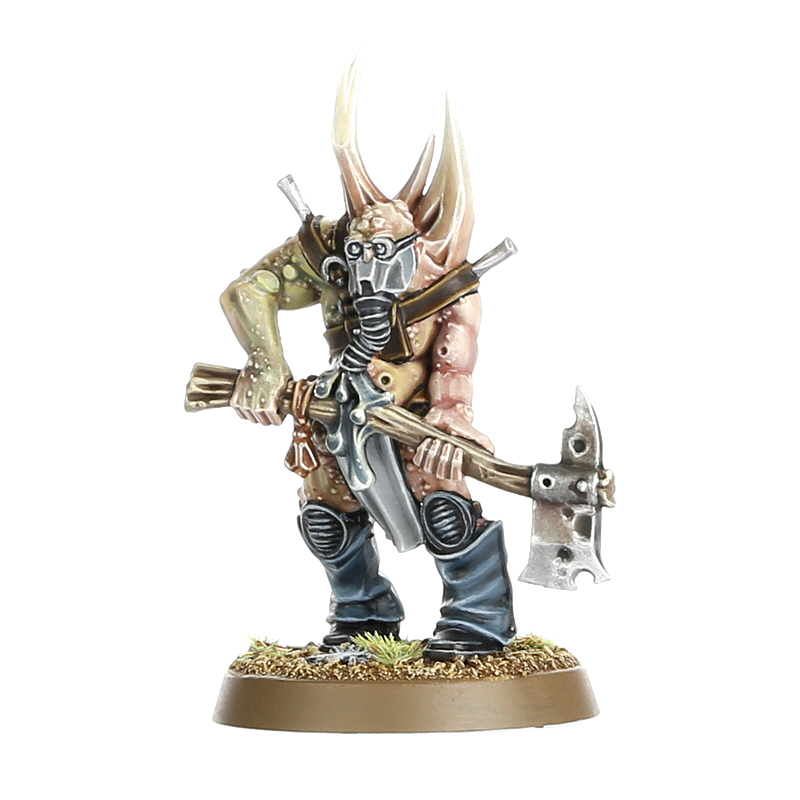 Then you might want the Poxwalkers from the recent Dark Imperium game. Then maybe the Cawdor box set as well, lots of Cultish looks here. Finally best choice would be to CONVERT ALL THE THINGS! Generally, you can’t go wrong with some GW sculpts, and their standard guys and that characterises your choice really. Do you go for classic uniform cult? Or Ragtag collective of randoms? I personally have a problem in that I like a disparate group. A gaggle of different looks including lots of normal lookers. If you want the cult to look uniform, you can do this easily. IF you want a gaggle, you’re going to need to get a lot more bodies from a lot more people! So far I’ve based most of my gang on the Cultists. But have also included figures and models from the genestealer cults, leftover guard bits, some mantic zombies and more. There isn’t much of a need to have a dedicated set of models for this gang as they can be whatever you want them to be. 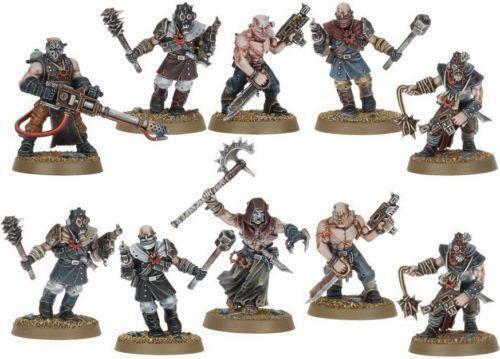 Some great conversion bits (that sadly might be out of stock) are the Forgeworld Chaos renegades kit. These have a good mix of weapons and nasty tools to make you happy! I snagged some for my 40k Sons of Sek and never got round to using them in full. 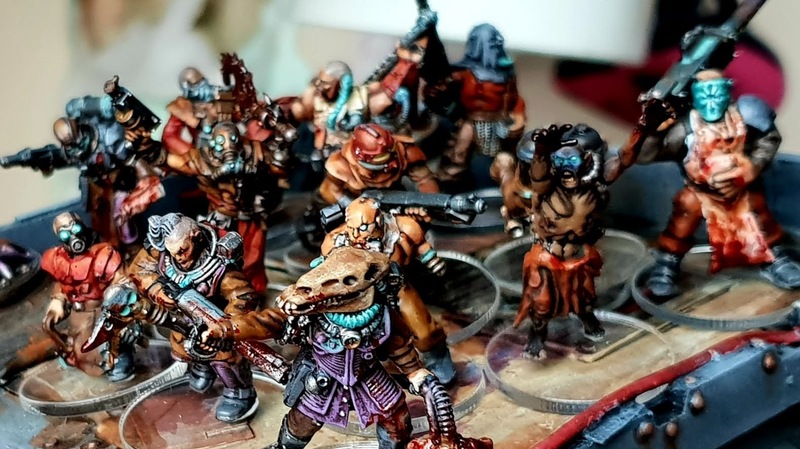 Chaos Cults can be an incredibly satisfying gang to collect, the sheer options available for the experienced modeller mean you can really let your creative juices flow. Even better, if you want to play it safe and get a gang ready to go, then GW has you covered. Next up, we’ll have a look at how they actually play. Very nice guide; really breaks down the options available nicely.